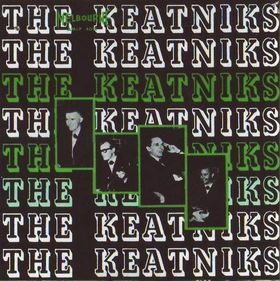 The group that made the first rock 'n' roll record in Atlantic Canada. On April 23 of that year the four Asteroids set out from their homes in Saint John, New Brunswick, for what was then a seven-hour trip to Halifax, Nova Scotia, to make the first rock 'n' roll record in that part of the world. The Asteroids were formed in 1957 by Dov Ivry and Alan Reid. They were 16 years old. When the Sputnik went up not long after, they sat down and wrote their first song, “Satellite”. Blast off was the first Rodeo Records release of rock ‘n’ roll. Considered to be the perfect modern Memphis Blues album of its day. 1st LP issued by High Water. Opened for The Fugs at Massey Hall, October 26, 1968. Geddy Lee met Tuli Kupferberg there and got his autograph signed on his hand.